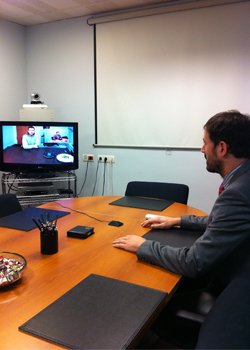 Our videoconferencing services allow you to have meetings with people in distant places, by means of two-way sound and image transmission in real time. Less people will have to travel to different cities, with the subsequent cost savings. This service is equipped with the most advanced technology and offers the option to set up the connection over ISDN or IP through optical fiber.